What's being billed as network TV's first medical marijuana commercial is running in New Jersey this month, and soon this sad little ad will reach Chicago and Massachusetts as well. The ad, only airing from 10 p.m. to 5 a.m. and not on children's networks, is poorly shot, looks like it was edited back in the '80s and has atrocious background sound. Then there's the concept, which is probably even worse. We meet a shady gentleman by a trash bin who offers to sell us shady street sushi. He's got tuna, sweet shrimp and a coat full of rolls. 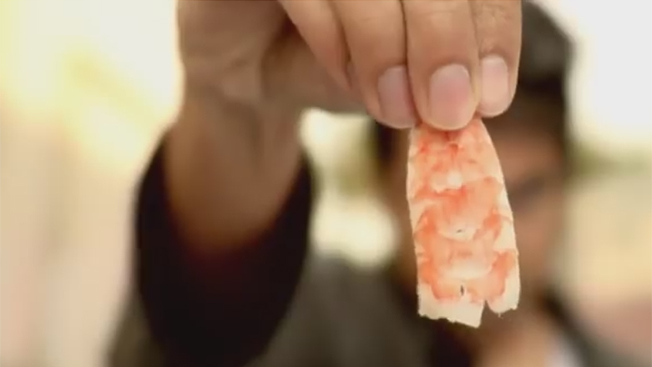 The voiceover says, "You wouldn’t buy sushi from this guy, so why would you buy marijuana from him?" If this was a play for legitimacy, shouldn't the advertiser have created a spot that doesn't look like it was purchased on a street corner, too?